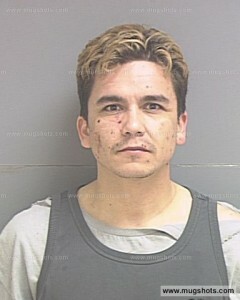 Andy Esquivel is scheduled to appear in court for a child support hearing on Wednesday. The court will try to determine how a guy who claims to have invented everything from inflatable car covers, blue-tooth enabled electronic cigarettes, numerous pornographic mobile phone apps, alcoholic energy drinks, Internet DNA, and tools to prevent mass shootings in shopping malls can’e afford to pay child support for his first two kids. Andy, who will be representing himself because eh can’t afford an attorney, will attempt to persuade the court that he should be let off the hook because he gave the $5,000 he conned out of Ryion Butcher to his ex once in an effort to convince her he was now a wealthy man. That argument would probably carry a little weight, except for the fact that the Colorado Department of Child Support Enforcement has been following the fraud trial here in Utah closely and is fully aware that Andy is a criminal. Andy has been preparing for this hearing by calling the Colorado department of Child Support Enforcement on a daily basis threatening to sue the department and send everybody who works there to prison (sound familiar)? The calls got so disruptive that the department actually went to the trouble of having Andy’s calls routed to a special answering service so that nobody would have to talk to him unless there was some sort of “medical emergency”. Currently Andy owes around $20,000 in back child support – and counting. It’s kind-of pathetic that a guy who claims to be such a brilliant inventor can’t even come up with a few hundred dollars a month to support his own children, but I guess you can’t expect a sociopath to get a job and pay his bills.